To stay comfortably cool in Dania Beach, even in extreme summer temperatures, you can rely on expert air conditioner service and repair from Quality Air Conditioning Company. Your air conditioner works constantly to fight heat and humidity, keeping your Dania Beach domicile at a livable temperature. To maintain your home air conditioner so it works at peak efficiency, you can depend upon the qualified technicians at Quality Air Conditioning Company. 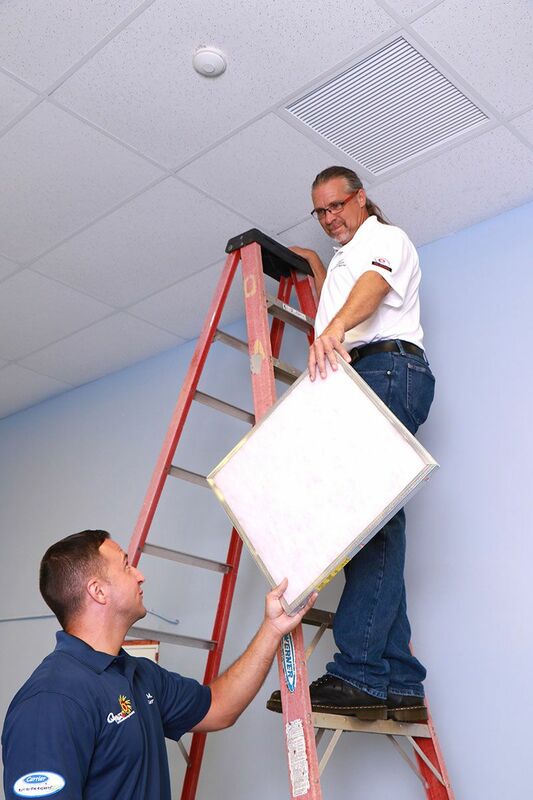 Our well-trained team offers timely and courteous service to homeowners throughout Dania Beach. Whether at a modern, open-plan condo in Meadowbrook Lakes or a sprawling, Mediterranean-style ranch home on the Davis Isles docks, Quality Air Conditioning’s techs skillfully service over a dozen leading air conditioner brands. We’ll help you chill out in Melaleuca Gardens and keep your Avon Park air conditioner in prime condition. Dania Beach was once known as the “Tomato Capital of the World,” a reflection of its agrarian past. Now called the “Antique Capital of the South,” Dania Beach bustles with the trade of classic collectibles. If you own a shop in Dania Beach’s Antique Row, and your air conditioner is more of a relic than your wares, you may need to consider a replacement. Come to Quality Air Conditioning Company for the most modern, efficient air conditioner. After our air conditioner replacement, your vintage rarities and heirlooms will stay cool in the Dania Beach heat, like a well-chilled bottle of Richebourg 1949 Pinot Noir. Dania became “Dania Beach” in 1998. The town’s name honors the mostly-Danish ancestry of its original 35 residents, many of whom were farmers. Back in 1926, Dania was briefly part of the nearby city of Hollywood. Only five miles away from Dania Beach in Fort Lauderdale, Quality Air Conditioning Company is pleased to include Dania Beach in its service area. Now more than a century old, Dania Beach has implemented the Oasis program to renew the city’s infrastructure, one neighborhood at a time. Dania Beach has much to offer both residents and tourists—including its fishing pier, the Wiener Museum of Decorative Arts with its Fantastique ceramic art exhibit and “Art on Fire” Chihuly glasswork exhibit, Dania Beach Ocean Park with its public beachfront, and the Holocaust Documentation & Education Center. Dania Beach boasts one of the largest Jai Alai frontons in the U.S. at the Casino at Dania Beach. The fronton is a premier playing area for this centuries-old, Basque-based sport. The Casino also features table games, almost a thousand slot machines, live entertainment, gourmet grills, an ice cream parlor, and a bakery. The Dania After Dark street festival brings music and art to the town’s nightlife. A vibrant and varied set of athletics programs encourage fitness for all ages with yoga, karate, walking, weightlifting, Jazzercise, and more. Wherever you live in Dania Beach, you’ll “sea it, live it, and love it” more comfortably with air conditioner maintenance, repair, or replacement from Quality Air Conditioning Company. Call us today at 954-971-1000 or 800-649-5415 to find out how we can make your life in Broward County’s oldest city more pleasant.